End of life is not just about the loss of a loved one or the soon to come loss, but it is also a time for burial preparation. 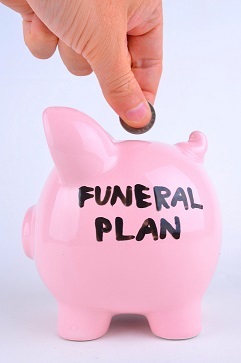 End of life costs alone and care can be immense, but funerals and services can also cost alot. Many individuals prepare for this event to lessen the burden on loved ones, others are completely unprepared. A funeral is a rite of passage. It is something that is religious and sacred but also something that is very sad. It is a rite of passage for the deceased but a time of great pain, agony and suffering for the surviving family. While it is important to make this sad day perfect, in regards to religious rites as well as visiting hours, the service and wake, it is equally important to make sure the individuals and family grieving the deceased also are dealing and coping in a productive way. The funeral itself is beyond just a rite of passage for the deceased, but also a social venue for the grieving family to find solace but also finality. For many it is the beginning of a long process of adjustment, accepting the reality of death and moving forward. In this social event, family and friends are able to grieve openly and also check on others who share in their grief. It permits those who may be suffering internally to be given a chance to express sorrow and also be looked after by other surviving family. It is a gauge for the entire and collective health for the family a whole. Some within the circle of family and friends may heal and cope quicker. At the wake, they may share old stories of the deceased and begin commemoration the loss in a healthy way. Others may need more time to grieve and be held and listened to. In this array of emotions, individuals start the healing process at the funeral. This is why, it can truly be said, the funeral is more for the family than the deceased. True it is a remembrance of a life, a time to be grateful for that life and wish that life a successful transition into the afterlife, but for many, the funeral is about accepting that farewell. Accept for the necessary prayers and religious rites, the deceased is at peace. It falls upon the function of the funeral and its rituals to help others accept that peace as well. In this way Funeral Directors, Funeral Associates, Pastors, Ministers, and Grief Counselors can all play roles of the day and after in helping the bereaved move forward. It is true that after the funeral and the many cards in the mail, the true grey period of bereavement arrives, in which one learns the long lesson of adapting to life without the deceased and writing for oneself a new chapter. This is a long process, but the funeral sets the foundation for this long process to begin. It is important to remember the grieving throughout the year and even years after as they overcome the loss in their life. Too many times, one dismisses another’s grief a few weeks after the funeral, thinking one should simply “get over it”, but the if one truly understands the nature of grief, then one will realize that the funeral is only the first step in a long process. A process that will involve future holidays without the deceased, as well as multiple anniversaries that only re-stir the emotions of loss within a person. If you are interested in learning more about Grief Counseling or becoming a Funeral Associate, then please review our Grief Counseling and Funeral Associate Certifications and see if they match your academic and professional needs. In the meantime, we need to see the critical importance the funeral plays as a social construct to help the grieving accept death but also as a way to help the healing process, but grief care cannot end there but is an ongoing process that goes well beyond a few weeks but sometimes beyond a year itself. We need to remember that the sting of loss never dies with grief counseling, it just becomes more bearable. Its Halloween and we usually expect to see the classic spooky grave yards, but CNN today listed some of the world’s most beautiful and scenic cemeteries in the world. It is nice sometimes to think of a death and rest as a sacred and beautiful thing. When people come to see their loved ones, they can rest and meditate upon their loved ones and offer prayer. If you are interested in a funeral associate certification, then please reveiw the program. After taking the core required courses, you can become eligible to become certified. The certification in Funeral Associate lasts for three years and can be renewed thereafter. You will need over five hundred hours of practice and fifty hours of continuing education. As a certified funeral associate, you will be able to help the funeral director with the daily needs of the funeral home. While you may assist him in more detailed procedures, you will most definitely be able to run daily routine with customers and address their needs. We also recommend becoming certified in grief counseling to compliment this position. Celebrate the life instead of grieving it? Sounds like a good philosophy but one still must be careful. Grief is still important because loss is only a loss if love was there. Grief exists side by side with love. We cannot be completely joyful if we loved because we will miss them. Yet in some cases, we still can celebrate their life. If you are interested in funeral associate certifications, then please review the program. Funeral Assistants: Do People Need to Partake More in the Funeral? How much of a role do funeral assistants for the bereaved to play in the role of a funeral? 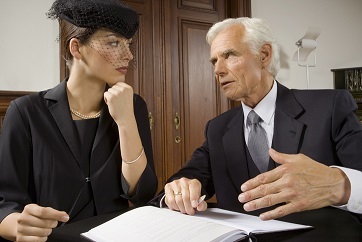 The role of a funeral director and sometimes a funeral assistant is to plan the funeral. Yet, is this good for the person and their recovery over a loss? We tend to think that allowing a person sometime to himself is the best answer to recover but studies show a person who takes an active role in the funeral accepts the reality quicker and adjusts in a more healthy fashion. While we cannot force the issue, we can encourage a small part to be played for those grieving the loss of their loved one. In this way, the funeral assistant is not only performing a service for the deceased but also playing a critical role in grief recovery. If you are interested in learning more about funeral assistant certifications, then please review the program. New ideas in funeral service are emerging everyday as the demands and needs of people change. Funeral service associates can offer a variety of plans to the bereaved. They can range from a traditional service to something more unique. In order to help the bereaved in their time of need, you will need to earn your funeral service associate certification. It is an important step in ensuring you have the knowledge for well run funeral service. Funeral Service Associates have begun to see a large growth in the option of cremation over traditional Western burial. Many reasons have influenced this change. Thank you for visiting our AIHCP web blog. This category of the blog focuses on the specialty practice of funeral services. Our blog provides our visitors and professional members and students an ever expanding platform for related articles, information, discussions, event announcements and much more. We invite your participation by posting comments, information, sharing and authoring for our blog. Please visit us often and be sure to book mark us! Welcome to the American Institute of Health Care Professionals Blog! Please check often for the most up to date information and articles regarding all of your counseling and health care needs. If you have any interest in any health care continuing education courses or health care certifications, please review our blogs and programs. All certifications are granted via online learning and courses. After completion of the courses, qualified professionals can become certified in their specialty area. Nurses, counselors, health care professionals, social workers, funeral care, pastoral care and ministry all find needed counseling and health care continuing education courses that lead to certification at AIHCP. If you have any questions or would like to browse the blog, please feel free.